This is a little story about The Loudspeaker, have now used it for about 6 month. 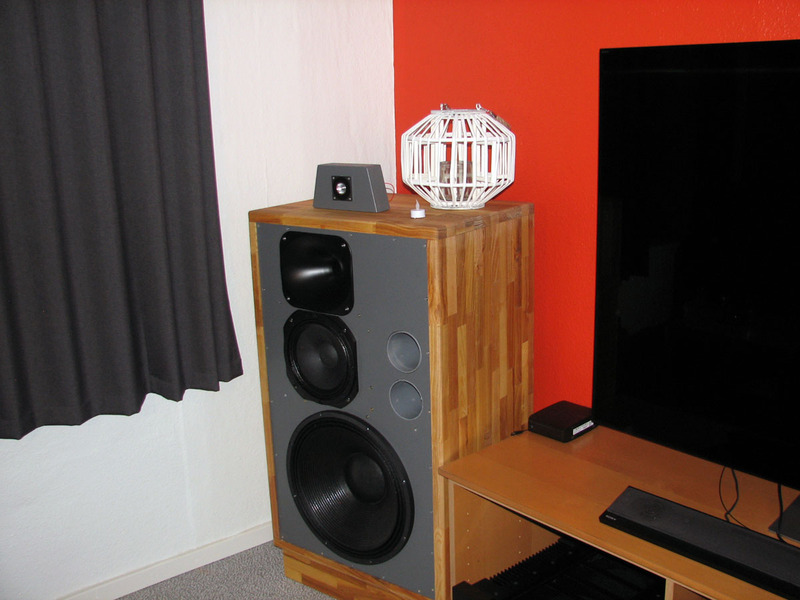 In many ways it is the best speaker I have build, and this is because of the way this speaker gives me the feeling of real live music. 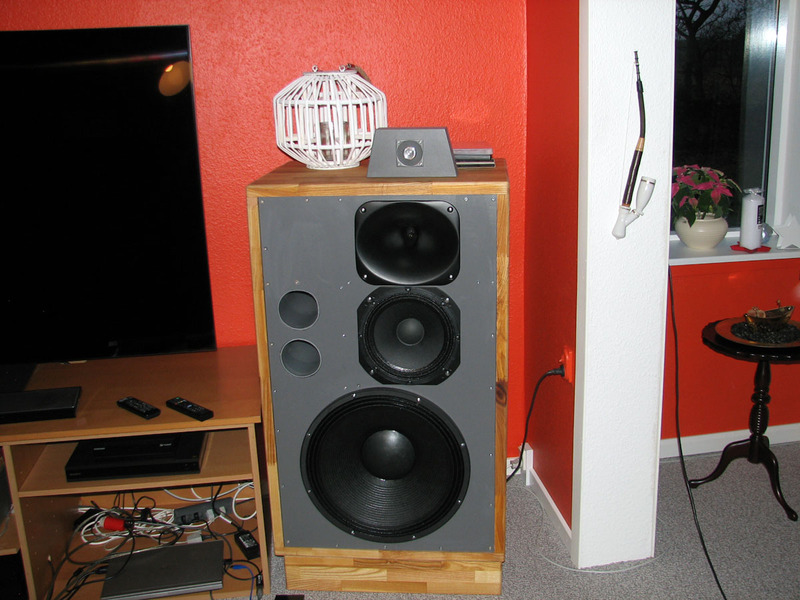 Take the 18” bass driver, it plays bass only when there is bass in the music, in the beginning I wondered why there was so little bass, compared to my former speaker (GR Research LS9). But when there suddenly come deep notes from the record, the house is shaking…and another thing that make me wonder, it gives me very little trouble with the room. 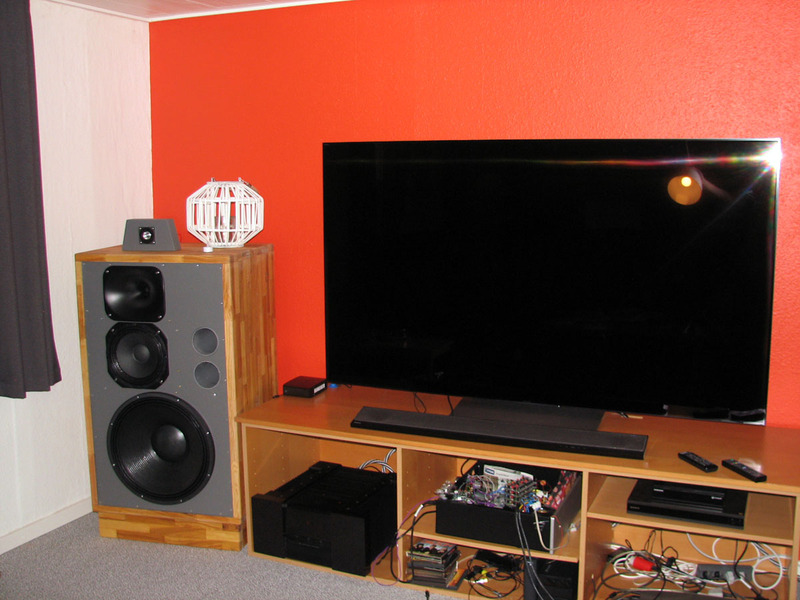 Normally my LS9 gave to much bass where I have to place my speaker (regulate the area from 100Hz -6db in my Jriver program) this is not required with the 18”. Voices is very good, easy to understand the word from singer. Tweeter must be really good, acoustic guitar sound so nice and clear, haven't heard this before. And one of the really good thinks for me, the speakers give big sound, fill the hole room with music, An Evening with Godsmack on DVD ..when you first have heard this on big speakers, you'll newer return to small 2 ways, quietly music like 2 guitars with-- Magna Carta: Ticket to the Moon DVD —sound really good. Is there nothing bad I can tell about the speaker? Yes there is, bad records sound terrible, it is mostly the lower horn that tell this record is bad. But that is OK, just play at lower level. Do I need to tell... dynamics are just second to none.